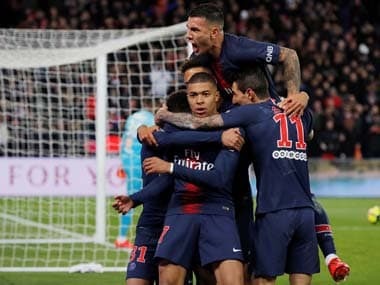 At this stage last season, Paris Saint-Germain were very comfortable as they took a 4-0 lead from the first leg into the second leg against Barcelona at the Camp Nou. However, what unfolded in that match was something completely unprecedented, as the Catalan giants won 6-1, masterminded by Neymar and his refusal to give up. That defeat showed Les Parisiens what they were lacking. That despite boasting a team full of quality players, they did not have a player who could grab the game by the scruff of the neck and transform the team's fortunes. PSG rectified the situation in the transfer window with their audacious and shocking wooing — and eventual capture — of Neymar from Barcelona, for a world-record fee of £198 million. If that wasn't enough, they secured their attack for the coming years by signing French prodigy Kylian Mbappe on loan from Monaco, with the deal containing an automatic purchase clause of £166 million in the summer of 2018. Those moves sent shockwaves across the entire transfer market and were the principal cause for the spiralling prices of big players in the market, especially Ousmane Dembele, Philippe Coutinho and Virgil van Dijk. With these two signings, the French outfit had demonstrated their intent to shake up the world footballing order well and truly and made a statement that the Champions League is the prize they are looking to win. Fast forward a year and the Parisians find themselves in between a rock and a hard place — they are staring down the barrel in the Champions League, trailing 3-1 going into the second leg against Real Madrid. 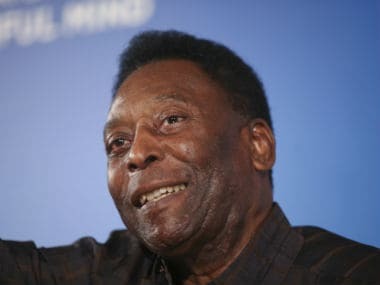 To add to their misery, they will have to overcome the two-time defending champions without their talismanic Brazilian, who suffered a broken metatarsal in PSG's match against Marseille 10 days ago and has been ruled out for four to six weeks. Leading by a comfortable margin in Ligue 1 and coasting to victories in the Cups, the Champions League is the holy grail for Unai Emery's team. Their inability to progress beyond the first knockout round this season as well would most definitely put the coach's job at stake, not to mention many key players might want to evaluate their futures going into next season. The club are aiming to project themselves as one of the top teams in Europe and need sustained success in the Champions League to convince potential new players and increase their fan base across the world. The absence of Neymar makes PSG's task all the more onerous and daunting, but that is what players who joined the club were in search of — a platform to be able to perform at the highest level in Europe. This is when big players stand up and deliver and it is time for the likes of Edinson Cavani, Mbappe and Marco Verratti to show what they are made of. The Brazilian talisman will be replaced in the line-up by former Real Madrid standout Angel Di Maria, who would be keen to perform well against his former team and progress in the competition at their expense. The French outfit has been criticised for a lack of mental toughness and fortitude in the big matches, especially away from home, and rightly so. Their capitulation in Barcelona and the 3-1 loss in Madrid showed just that despite dominating parts of the game and impressing with their play, they could fall away at any given point of time. That is the reputation they need to shake off, and what better time to do that than against Real Madrid, in front of and buoyed by a raucous Parc des Princes. Zinedine Zidane's men go into the tie confident that they can make it through, but in no way exuding any complacency. Los Blancos are battle-hardened at this level and the fact that they have won the Champions League three times in the last four years speaks volumes of their ability and mental strength. They go into the second leg with a couple of big injury doubts in Luka Modric and Toni Kroos, both of whom are doubtful to get fit in time for the clash. If they do not play, Zidane will probably go with youngster Marcos Llorente and Isco, along with the trio of Karim Benzema, Gareth Bale and Cristiano Ronaldo up front. Marcelo made the biggest difference for Real in the first leg, using his energy to switch quickly from defence to attack and helped the defending champions impose themselves on their opponents at crunch moments. 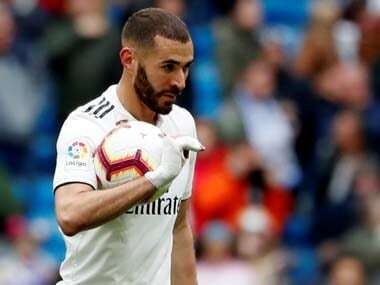 His tireless running, along with Dani Carvajal's attacking ability, will be crucial in supplying Ronaldo and Benzema up front, as the Spanish giants would look to kill the tie early on. At the end of the day, this encounter hinges on just one essential issue — do Paris Saint-Germain have what it takes to show that they belong at this level? They might be presented with the biggest challenge possible in the form of Real Madrid, but what better way to make a statement than to eliminate the two-time defending champions. However, as Sergio Ramos said in one of the pre-match interviews, Real Madrid are looking to win their third Champions League on the bounce. 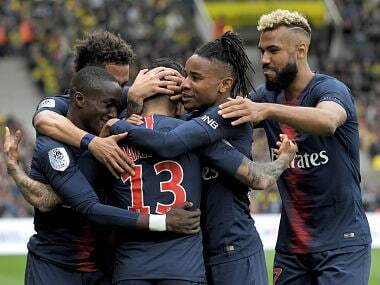 That is the confidence and courage in their own convictions the champions have, and that is what PSG need to shatter in order to progress.